I did finish the first „century“ lamp just in time for christmas. The base is very close to the CAD design, thanks to the excellent work of a friend and his lathe. The apple wood turned quite dark, alltough I used a clear finish. The lampshade printed from natural PLA gave it an almost glass like appearance. 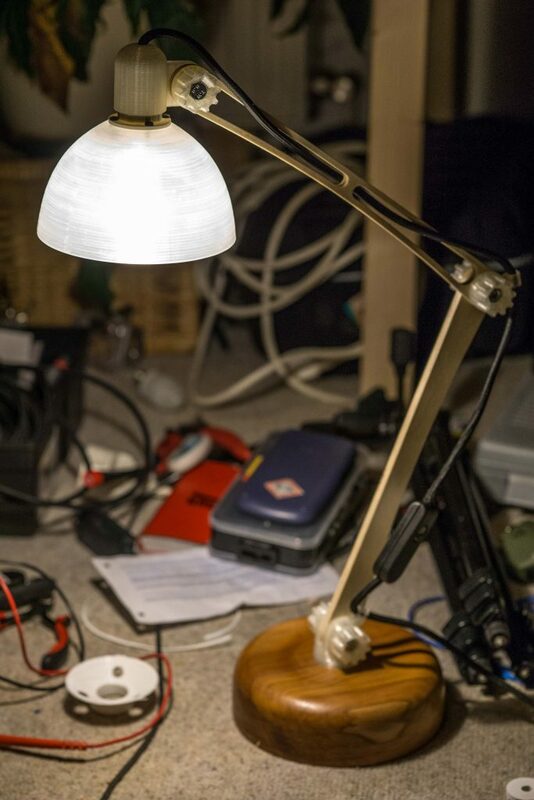 I´m currently refitting the MPCNC with an extruder so I may be able to print the more complex lampshades soon as my Hobbyking Fabrikator is just a bit too small for the task. I´m pretty happy with the result so far. Now I have to dive deeper into aluminum milling to get it a little more stiff.